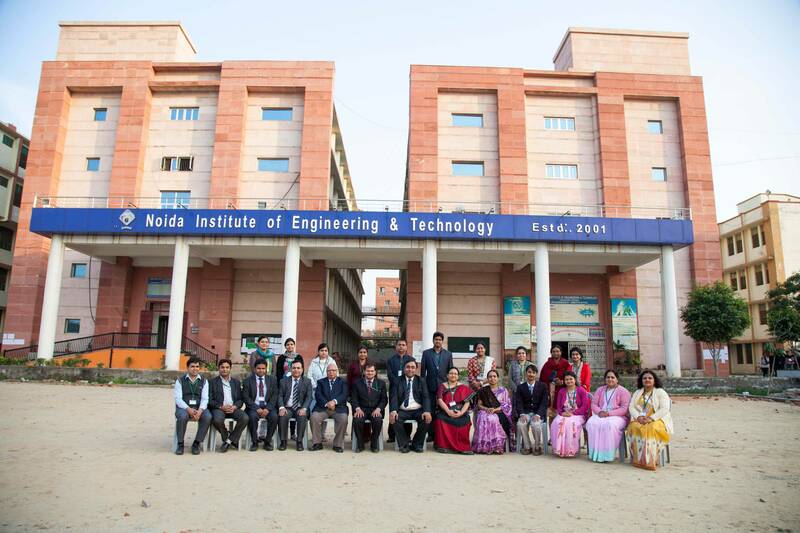 About : Greater Noida Institute of Technology (GNIT) is an engineering college in Greater Noida, India, specialising in technical education. It has been approved by All India Council Of Technical Education and affiliated with “Dr. A.P.J. Abdul Kalam Technical University”, Lucknow. At present it offers courses at the undergraduate and post graduate levels. Our vision is that India’s future should be both comprehensive and harmonious. It must encompass all the myriad aspects that constitute the life of the country and its people. We must be able to awake a greater awareness of the cultural and spiritual strengths-which formed the bedrock of our past achievements and should form the foundation of our future accomplishments. We must be able to give rise to an unswerving confidence and a complete reliance of one’s own capacity and an unshakable determination to realize the full potential. Bachelor of Engineering (B.E.) in Civil Engineering. Bachelor of Engineering (B.E.) in Computer Science. Bachelor of Engineering (B.E.) in Electrical Engineering. Bachelor of Engineering (B.E.) in Electronics & Communication Engineering. Bachelor of Engineering (B.E.) in Information Technology. Bachelor of Engineering (B.E.) in Mechanical Engineering. Master of Engineering (M.E.) in Civil Engineering. Master of Engineering (M.E.) in Computer Science. Master of Engineering (M.E.) in Electrical Engineering. Master of Engineering (M.E.) in Electronics & Communication Engineering. Master of Engineering (M.E.) in Information Technology. Master of Engineering (M.E.) in Mechanical Engineering. After Filling-up of Request Letter for issue of Admission Application Form (Form No. 3), if the student, is eligible for availing Scholarship for SC/ST/OBC/GEN/MIN categories, as per guidelines of Samaj Kalyan Office, and if they are interested for availing the Scholarship facility from Samaj Kalyan Office, they are advised to contact Scholarship Coordinator of the Institute and deposit The Form No. 09 along with requisite documents. After depositing the above documents, the Scholarship Coordinator will verify the same and allow for relaxation of Tuition Fee/Scholarship as prescribed by the Samaj Kalyan Office. In case, students opted for Institute Hostel, they are informed to contact Hostel Warden at Reception of Girls Hostel (in case of female candidate) or New Boys Hostel (in case of male candidate) along with Hostel Registration Form No. 14 and photocopy of required Hostel Fee deposited for booking of hostel room. In case, students opted for Institute Transport Facility, they are informed to contact Transport In-charge (along with Form No. 13) for issue of Bus Pass after depositing the required fees. 1 Registration Fee 10,000.00 Non-Refundable. Institute provides Identity Card, Syllabus, Time-Table, all the syllabus book on semester basis (Also a candidate will remain a life-time member of the Book Bank), extra internet facilities, Cashless Medical reimbursement of Rs. 50,000/- in the year within tie-up hospitals, computational training and value addition programs. ALL STUDENTS ARE INFORMED TO MENTION THEIR NAME, FATHER’S NAME, REGISTRATION I.D. NO., BRANCH, YEAR ON THE BACK SIDE OF THE DEMAND DRAFT AND KEEP PHOTOCOPY WITH THEM.